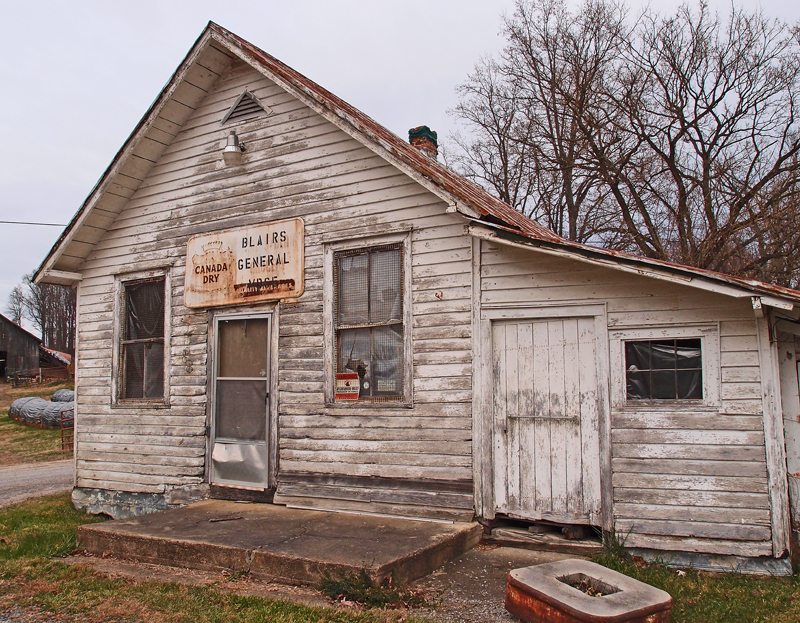 This is, technically, Blair’s General Mdse, but it’s usually called Blair’s General Store. It’s on Midway Road at Landfill Lane in Scott County VA.
36 43 45.48N, 82 31 38.75W (copy into Google Earth). Landfill Lane? “Life’s a holiday on Landfill Lane”…right. Any general store worth its salt has a concrete pad…and a pad for a gas pump.